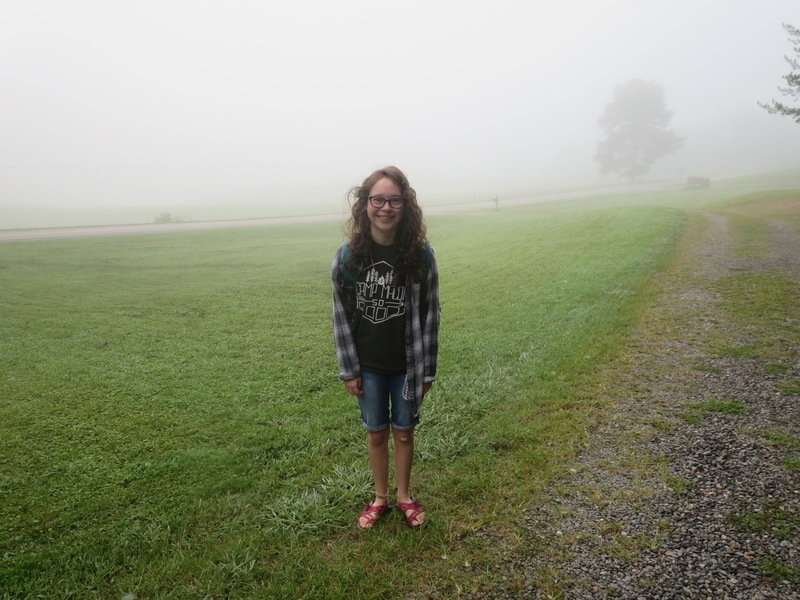 1st day of Rebekah’s junior year. It was a little foggy this morning. Jenna goes back to school tomorrow, and Lauren on Monday. Summer has come to an end. This entry was posted in Classical Conversations, College, School. Bookmark the permalink.